Farmer’s Market | Downtown Sault Ste. Marie, Michigan! The Sault Ste. Marie Farmers’ Market brings the farmers to our community so you know the people that grow your food. The Sault Ste. Marie Farmers’ Market brings you farm fresh “better then organic” produce, eggs, inspected pasture poultry, local meats (including buffalo), fresh bread, honey, maple syrup, cut flowers, and garden plants all presented by the people that raise your food. Buskers amuse customers as they purchase foods from their favorite local vendors. 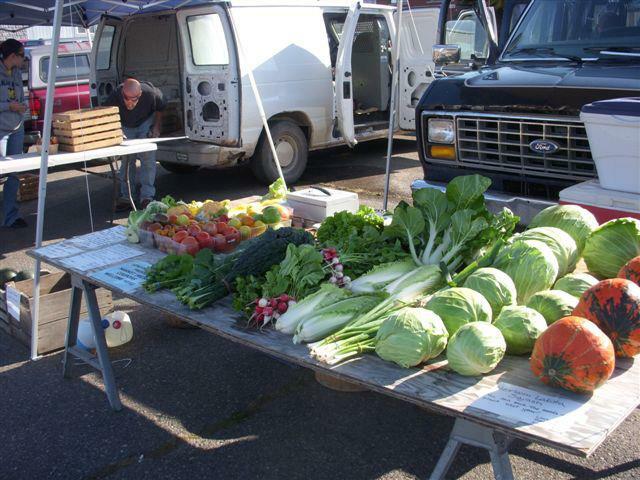 Summer Farmer’s Market at the corner of Ashmun and Portage on Wednesdays from 4:00 p.m. to 6:30 p.m.
At the Sault Ste. Marie Farmers’ Market, you meet the people that grow your food!